Edmonton, Alberta, Canada – What if you could turn the windows in an office tower into see-through solar panels? 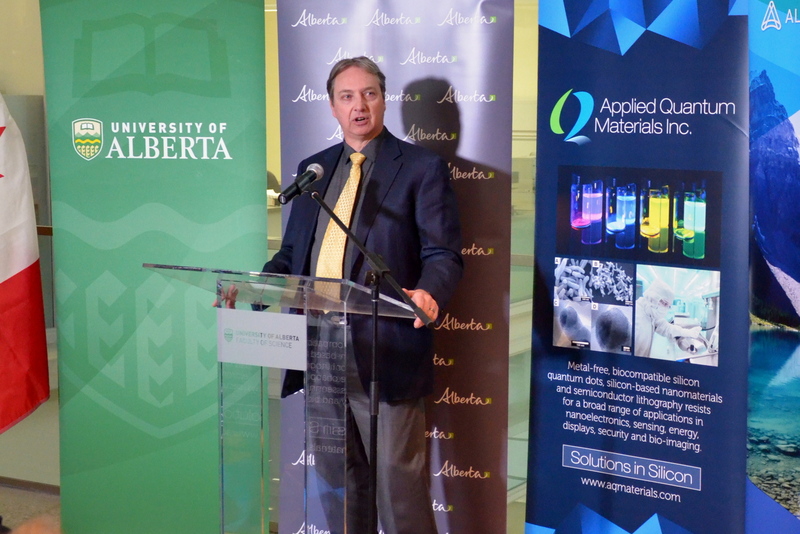 Applied Quantum Materials (AQM), a University of Alberta spin-off company, based in Edmonton, believes they can. AQM was one of 29 successful projects in the Climate Change Innovation Technology Framework (CCITF) – Clean Technology Development program. AQM has developed a novel technology using nanomaterials that when applied to everyday glass and windows, allows them to harvest and convert the ultraviolet portion of the solar spectrum. The light is wave-guided (channeled) to the edges where it is converted into electricity. This has the potential to revolutionize urban architecture by turning windows into power sources and convert the passive facades of urban buildings into distributed energy generation units, while simultaneously reducing the heat gain of the building. 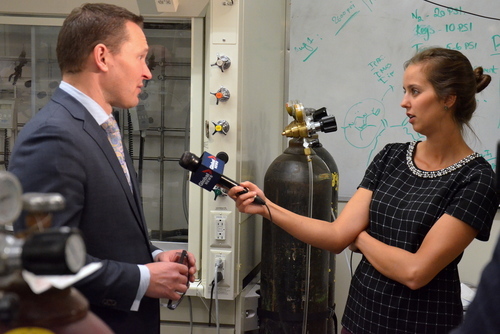 We’re encouraged by the funding we’ve received through the Clean Technologies Development program. It will allow us to move from proof-of-principle into commercial scale. Working closely with our partners, All Weather Windows, and PCL Construction, we hope to demonstrate that our technology will revolutionize the building industry.David Antoniuk, PhD, P. Eng, CEO Applied Quantum Materials Inc. 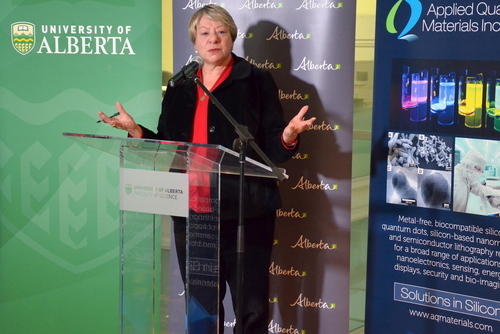 The 29 successful projects, across Alberta, will share over $20.5 million in funding from the Clean Technology Development program. This new initiative received strong interest with 160 applicants applying. Projects include everything from detecting and controlling methane emissions to cannabis waste management. The CCITF initiative is a partnership between the Government of Alberta, Alberta Innovates, and Emissions Reduction Alberta. The Clean Technology Development program intends to facilitate and support the development of novel clean technologies right from the science bench through to commercial application. It supports projects within CCITF’s mandate, including, emerging clean technology opportunities promising advances in GHG emissions reduction technologies. For a full listing of the Clean Technology Development program funding results, visit the Climate Change Innovation & Technology Framework funding page.